Every year, majority of the engineering colleges organize tech fests. These tech fests draw huge crowds of students. 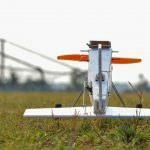 While some come to witness the events, many come to participate as these events not only carry huge sum of prize money but students also get participation certificates, which in turn help to build up their resume. More popular the institution, more the crowd they attract. 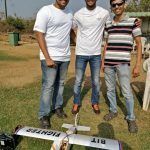 IIT Mumbai for example draw in hundreds of participants for their “Boeing Aeromodelling Competition” alone during their yearly tech fest. Most of these tech fests allow only students to participate. Professionals are usually barred from participation. 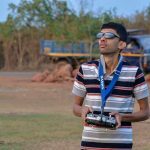 During the first week of January 2019, one of my colleagues, Sagar Pednekar, who is an Aeromodeller from Goa, called me up saying that he is participating in an Aeromodelling competition, Trailblazers, during Quark 2019, a yearly tech fest at Birla Institute of Technology Pilani (BITS), Goa. He said that this time they have opened up the event for professionals as well. 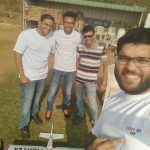 The conversation didn’t excite me enough as Goa is about 8 hr drive from my place (Mangaluru) and I was quite busy to build a plane for the competition. That night, I spoke to my spouse about this and she told me that I should participate as such opportunities rarely come. This was enough to ignite a spark inside me. I couldn’t sleep that night! Next morning I called up Sagar and told him that I too would be participating! He was overjoyed to hear this. He had never witnessed an Aeromodelling event before and this was his first and that too, he’ll be participating along with me! I could feel his excitement and anxiety. The tech fest was from 1st to 3rd Feb. The organizing committee were non-committal on dates for Trailblazers event and hence I decided to reach Goa by Jan 31st. BITS Pilani, Goa is a very popular institute and we expected lot of participants for Trailblazers and Quark 2019 in general. We were very excited and would strategize and plan for the event over and over as we didn’t want to make a fool of ourselves there! However, little did we know that we were about to participate in the biggest nightmare of our lives. Myself and Sagar reached BITS Goa entrance gates at around 8am and were accompanied by Vedant Gaonkar and Dr. Aneesh. Both of them, including Sagar were from Goa RC team. After completing the registration formalities, we proceeded in search of the Arena were the event was supposed to be held. 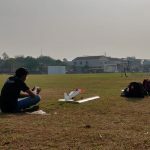 On the way, we found a couple of students from BITS Pilani searching for their lost model aircraft. We enquired about the event venue and they pointed us towards a ground. We reached the ground at about 9.30am and couldn’t find anybody. Hence we decided to have our breakfast and return. An hour later after we returned back to the ground. We still couldn’t find anybody there. It was about 11am. Dr. Aneesh had some contacts of club members of the college. After a couple of calls here and there, we got message that the Trailblazers event will start around 12noon. Till 1pm we were just lazing around the ground hoping someone would turn up. We then decided to have lunch and come back. We came back to the ground at about 2pm and called up one of the organizing committee members again as there were nobody at the venue! We were then told that the organizing committee came to the venue at 12.30pm and went back as there were no participants there!! They also told that some participants for Trailblazers event were having problems at the registration desk and the event will commence as soon as they arrive. Fast forward, the event finally appeared to start at around 4.30pm. About 7-8 teams arrived along with the event manager. We came to know that all were juniors studying in BITS Pilani, Goa. We were the only outsiders. It appeared strange to me as in most of the events that I have judged or witnessed, the host institution will refrain from participating, mostly to rule out bias and controversies. Till about 5.15pm, the BITS Pilani teams were busy repairing and assembling their models and none of them showed any inclination whatsoever in getting the event started. We had lost our cool by then and we showed our displeasure to the event manager and asked him to start the event as soon as possible. Finally Trailblazers started around 5.30pm. The first round was a qualifying round where we were required to take off, do a circuit and safely land. This round was over in half an hour as leaving myself, Sagar and Vedant, all had successfully crashed. The event manager however was adamant in qualifying one team from BITS Pilani, even though he had clearly not completed the qualifying round. When we countered him, he sarcastically told us why we were arguing as we already know what the results are going to be. Since only 4 of the teams had qualified, we requested the event manager to complete the event on that day itself, instead of postponing it to the second day. He agreed and we quickly completed the second and third rounds. I was tired and was totally frustrated with the way things went. I was not used to this J However, the end result somehow made me feel little better. All is well that ends well. I had however decided in my mind that I will not be participating in any event henceforth. I experienced what I needed to! The total prize money of the event according to the problem statement was ₹35,000. Fast forward, about 2 weeks later, Sagar called me and enquired whether I received the prize money in my account. When I replied in negative, he was bit concerned and so was I. Things then started cooking up in my mind. However I consoled myself saying that delays happen and we need not worry with a reputed institute like BITS Pilani. 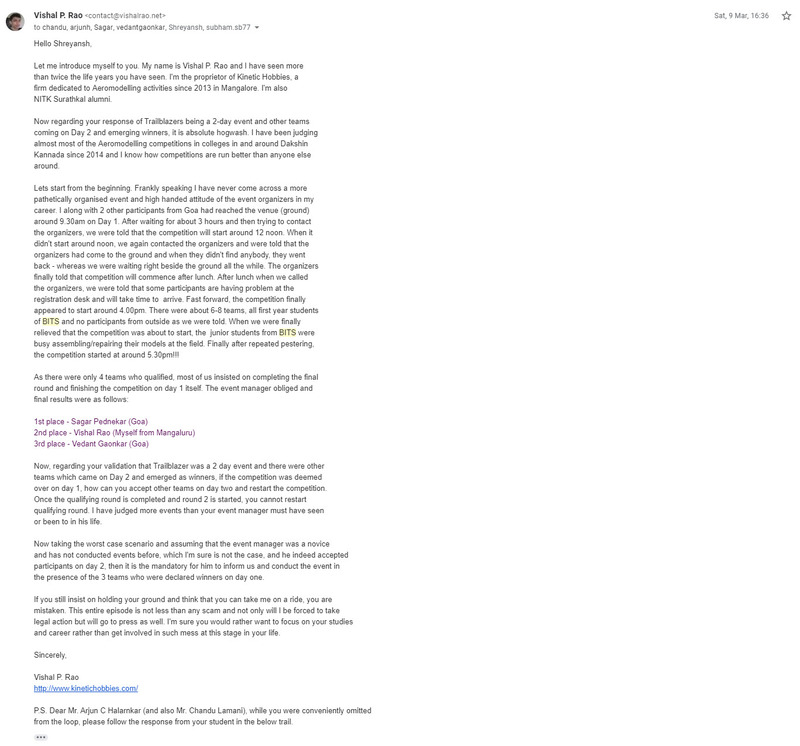 On 4th March, 2019 I decided it was too late and wrote an email addressed to the Public Relations In-Charge, Student Activity Center In-Charge, Quark Convenor and Quark Chief Coordinator and Events Head expressing my concern over nonpayment of prize money. Immediately I received mail back from PR In-Charge saying that he has forwarded my mail to the concerned official and the concerned person will get in touch with me soon. I lost my cool! I then wrote a lengthy email back to them saying how the event was conducted and also explained to them that once qualifying round is over and second/third round has started, one cannot allow new teams to do the qualifying round. Also, if the event manager was indeed naïve enough to allow new teams on day 2, they should have informed us and conducted the event in our presence, which they never did. On 11th March, the PR In-Charge promptly replied again saying he has forwarded to the concerned official and one of them will get in touch with me. Meanwhile, Sagar also mailed to them and he got the same message from the PR In-Charge. When I didn’t get any response from the BITS Pilani team I sent a final email on 23rd March 2019 saying that it’s been over 12 days and there appears to be no seriousness among them in addressing the issue. I haven’t heard from them as of today. The high handedness, arrogance and indifference with which both the students and the faculty have handled this, it appears this is not new to them and they have been doing it for ages. The role of educational institutions is not just to produce qualified people but also to instill strong moral and ethical values in them. It is more important to be good human being first than a qualified engineer or a doctor or a lawyer. However, when educational institutions set an example by stooping so low, one can only wonder about the future of humanity.